Carly Woythaler-Runestad is the executive director of the Mourning Hope Grief Center and has served in this capacity for over 10 years. A music therapist by trade, she received a Master's in Health Administration from the University of Iowa. Prior to Mourning Hope, Carly served as the recreation therapy director of a 165-bed long-term care facility in Minneapolis, as the director of a 26-bed Alzheimer's unit in Cedar Rapids, Iowa, and as the director of health policy for the Nebraska Hospital Association, providing advocacy services at the local, state and federal level for 85 Nebraska hospitals. Carly has served on a number of statewide boards, including the advisory board for the American Cancer Society, as the President of the Nebraska Rural Health Association and the Area Health Education Statewide Advisory Board. She currently sits on the National Alliance for Grieving Children’s Board of Directors, and will serve as the National Board President in 2019. 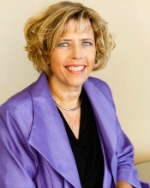 She is a frequent speaker on the topics of children’s grief, health policy, community health, human resource management and leadership, including a TEDx Lincoln speech which Carly delivered in 2015 titled “No Child Should Ever Grieve Alone.” Carly is thrilled to serve as Mourning Hope's executive director, and is committed to promoting healthy communities through innovative programs and partnerships. Alyssa Christensen is the Volunteer & Community Director of the Mourning Hope Grief Center. Originally from Sioux Falls, SD, Alyssa graduated in 2013 from the University of Nebraska-Lincoln with a B.A. in Psychology. Alyssa’s passion for grief work started after a Death and Dying class in college. It sparked her interest in becoming a hospice volunteer, leading to a career in the field. To further her interest in the area, she came across Mourning Hope at a conference she was attending and a few months later she was an official volunteer. Alyssa is passionate about the Lincoln community and is honored to be a part of growing Mourning Hope’s school programs to allow even more children to feel they are not alone on their grief journey. Kate Holman is the Advancement Director of the Mourning Hope Grief Center. Born and raised in Massachusetts, Kate graduated with a Bachelor of Science from the University of New Hampshire in Durham, NH. She relocated to Lincoln in 2009. Kate is dedicated to the nonprofit sector, and passionate about giving back to the community. She began her nonprofit career in 2007, and has spent the last decade driven by mission. 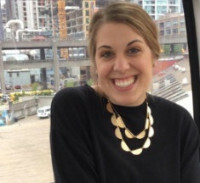 She brings a diverse set of skills to the Mourning Hope team including fundraising, marketing, event planning, and volunteer and donor management. Kate’s desire to support bereaved youth and their families comes from her past work with the state’s hospice agencies, time spent as a hospice volunteer, and her personal experiences with death and grief. Kate is excited to help grow and expand Mourning Hope’s presence and impact in the Lincoln community. Pam Fuhr Dinneen is the founder of the Mourning Hope Grief Center. As an educator and counselor, she found herself working with children and seeing the devastating impact grief had on so many aspects of their lives, affecting their learning, behaviors and choices. After serving on the crisis response team for Lincoln Public Schools and becoming acutely aware of the need for support services for grieving children, teens and their families, she traveled to centers across the United States, learning about ways to support them. Pam’s passion is to companion people, walking with them through the most difficult times in their lives and helping them have hope, healing and happiness again. She continues to be very active with Mourning Hope as a member of the Board of Directors and Executive Committee. Pam is also on the Program Committee, Training Team and serves as the Camp Erin Program Director. Pam is currently the Director of Care for Southwood Lutheran Church, where she offers counseling and adult groups. She is a Licensed Mental Health Practitioner and holds a Fellowship in Thanatology through the Association of Death Educators and Counselors. Kristal Flaming, LMHP, LADC is the Camp Erin Clinical Director for the Mourning Hope Grief Center. Kristal received her Bachelor’s in Psychology at the University of Nebraska-Lincoln and her Master’s of Counseling at Doane University-Lincoln. Kristal navigated crisis situations for 10 years in the intimate partner violence field, providing advocacy and mental health support to individuals struggling with dating and domestic violence. She provided individual and structured group support to children who suffered losses due to domestic violence and/or substance use. During her time working with families, Kristal was connected with Mourning Hope. She is thrilled to now be a part of the amazing Mourning Hope team and Camp Erin. In addition to Mourning Hope, Kristal currently uses her counseling skills at Lincoln Wellness Group and Doane University in Crete. Her higher education background includes teaching graduate level counseling students at the University of Nebraska-Omaha and teaching in the Continuing Education department at Southeast Community College. Kacie Tremain is a work study student for Mourning Hope. She studies Social Work at Nebraska Wesleyan University. Kacie is a junior this year. Kacie has been working at Mourning Hope since the Fall of 2016.